A new report has revealed that 77% of adults in Yorkshire and the Humber are worried about dementia and losing the ability to make important decisions for themselves in later life. That figure is contained in a new report from the Solicitors for the Elderly (SFE) who have launched a campaign” Choice Not Chance” to raise awareness of the important, but little used, health and welfare lasting power of attorney (LPAs) document which sets out an individual’s wishes for end of life medical and care treatment. Despite someone in the UK developing dementia every three minutes, only 3% of people in the country have a health and welfare LPA in place. The campaign was triggered by a report from the independent think tank, Centre for Future Studies, commissioned by the SFE which covered the whole of the UK. It revealed that a staggering 99% of people in Yorkshire and the Humber leave important health and welfare decisions to chance and have not made any provisions, should they lose capacity from conditions like dementia. The study also highlighted that 35% have made no provisions at all for later life, including a will, pension, funeral plan or LPA. Experts estimate that by 2025, more than 13 million people who are at risk of mental incapacity in the UK will not be prepared for the legal implications. Currently, in the Yorkshire and Humber region 68% of people incorrectly believe that their next of kin can specify what they would have wanted if they are no longer able to and 75% of the public would like a family member to make medical and care decisions on their behalf. 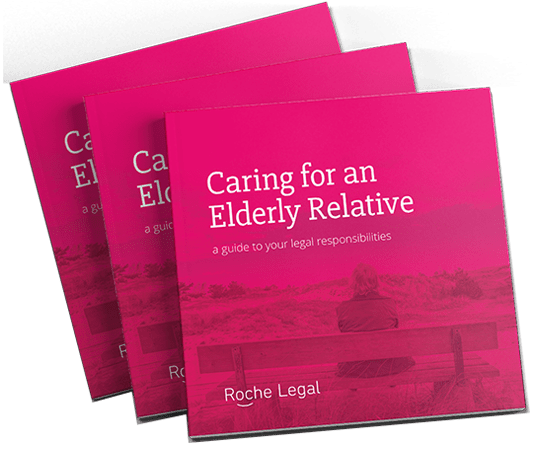 Rachel and other members of SFE – which connects older and vulnerable clients with legal experts in older client law – are joining forces to encourage people to tackle the taboos around end of life planning. The report titled The incapacity crisis: a nation unprepared was produced by SFE in June 2018. Further research was conducted by Centre for Future Studies. SFE (Solicitors for the Elderly) is an independent, national organisation of over 1,600 lawyers, such as solicitors, barristers, and chartered legal executives, who provide specialist legal advice for older and vulnerable people, their families and carers. An LPA is a powerful legal document, which allows a person (or ‘donor’) to choose one or more individuals (known as attorneys) to handle their affairs in the event that they are no longer able to do so themselves, for example if they lose mental capacity. Attorneys are usually trusted family members or friends, but people can also select a legal professional as their attorney. An LPA must be put in place while a person has the mental capacity to do so. It’s important to plan ahead and get your wishes down on paper as early as possible to ensure that whoever you choose to manage your affairs can retain control, should you lose capacity. There are two types of LPA: a health and welfare LPA (H&W LPA), and a property and financial affairs LPA (P&F LPA). The former covers things like choices around care plans, medical treatment and end of life wishes. The latter deals with the management of property, other assets, bank accounts and bill payments. For more information about caring for an elderly relative.